Appearing on a nationally syndicated show like Dr. Oz is one of those things I never expected to add to my list of life experiences. Readers of this blog may recall my announcement here about appearing on a TV talk show. In today’s post, I thought I would share how I ended up on T.V. First off, it all started last August on the actual day of my 10th wedding anniversary with my husband! 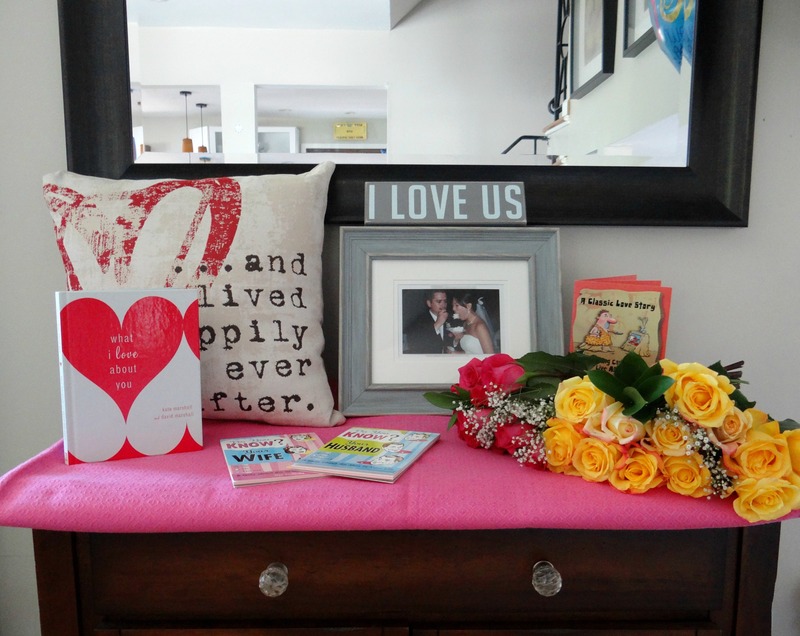 Here’s a photo of the sweet gifts my husband surprised me with that morning. Wow. My horoscope was dead on! It had been ages since I’ve even paid any mind to my horoscope. Entertainment purposes, right? Moments after receiving Lauren’s text, I get an email from an assistant producer about doing a segment on ways to re-use newspaper. She had reviewed my website and thought I would be a great fit. She asked me to give her a call to discuss an upcoming appearance on the Dr. Oz show. Well, that call ultimately led me to a conversation with the show’s Executive Producer! 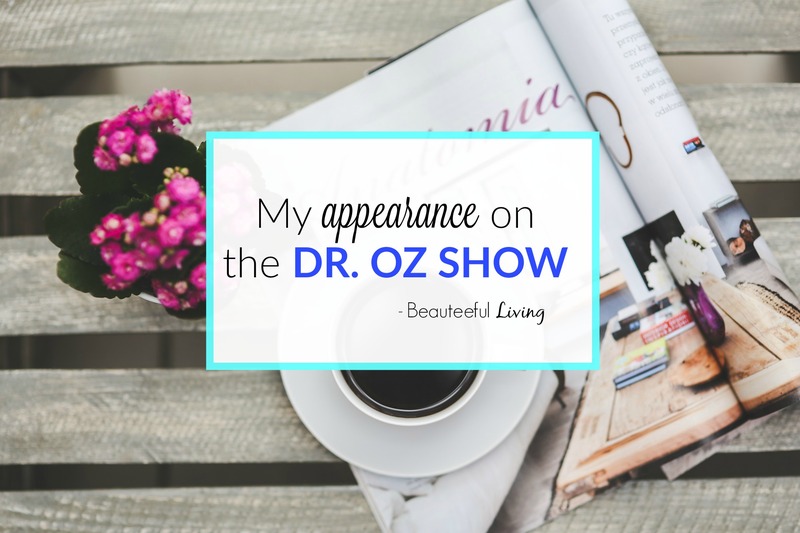 After I shared some stories of how my mother would find ways to re-use newspaper, the producer officially invited me to APPEAR on the Dr. Oz show! She wanted me to re-tell some thrifty tricks my mom did with newspaper as well as share some of my favorite ways to re-use newspaper. So that was the cliff notes version of how everything all began. Now, I’d like to share some exclusive “behind the scenes” photos from my trip to the Dr. Oz studio last September. Here I am (left) with my friend, Kelli. It’s always good to bring a friend along for crazy experiences like this, right?! 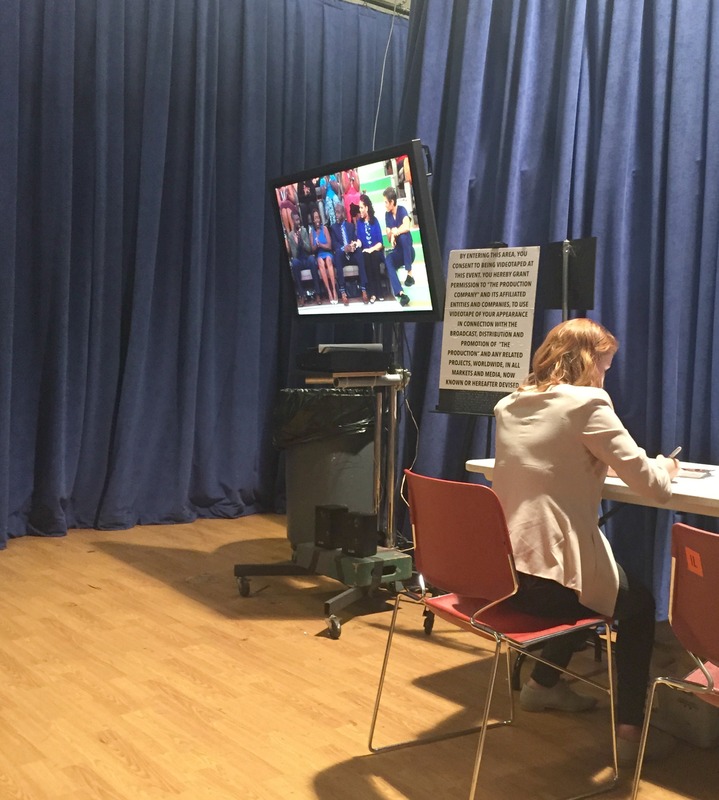 She was given a “VIP guest pass” and even got to answer a question posed by Dr. Oz. 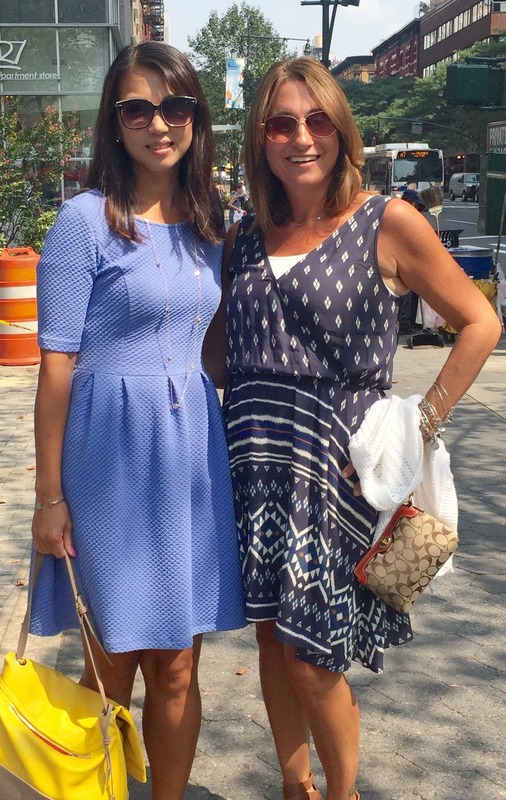 This photo of the two of us was taken near the ABC studios in midtown, where the show was taped. 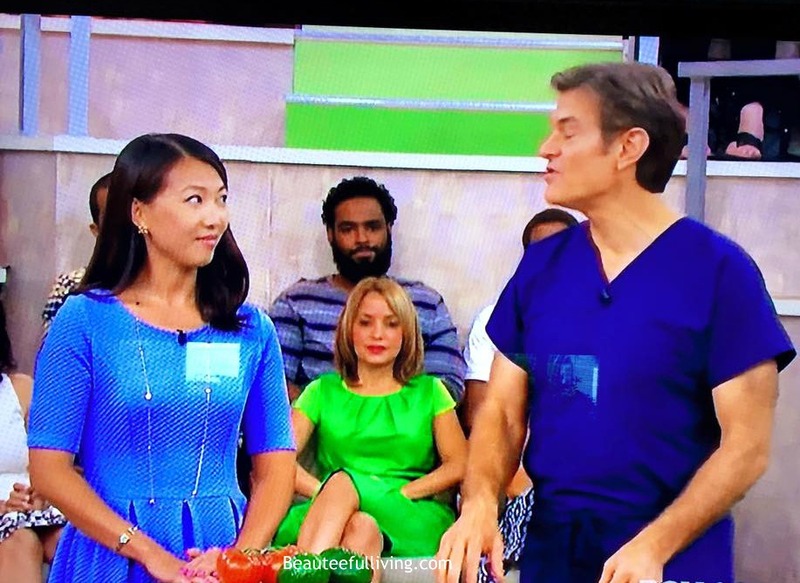 For the longest time (even up to the day of the taping), I braced myself for the possibility that my invitation to appear on the Dr. Oz show was a complete hoax. It’s the native New Yorker in me. We have to see it to believe it! 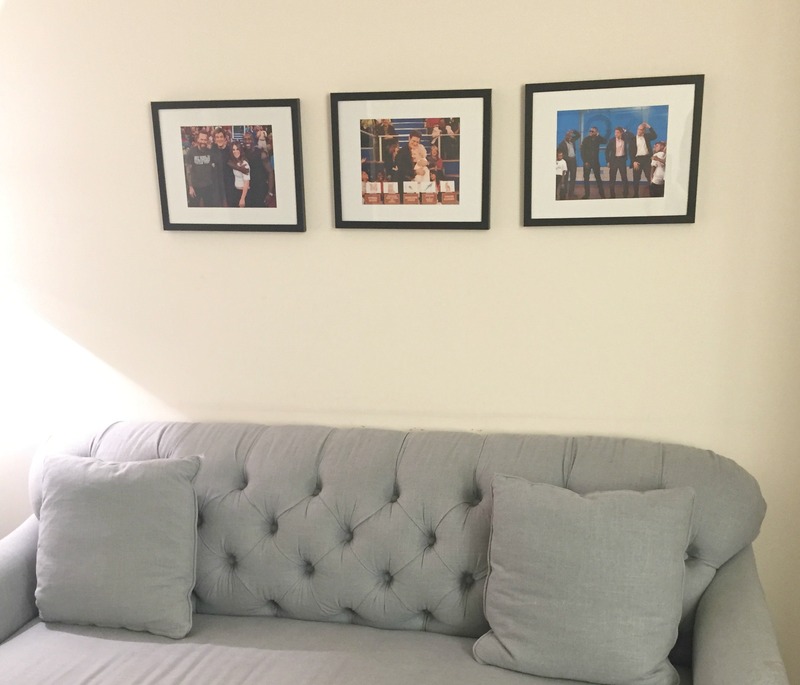 Well, once I was walked into my own dressing room, I knew it was actually fully legit! While getting my hair and make up done, I hear actress and comedian, Kim Coles walking in to get her touch up. If I wasn’t in the midst of getting my hair curled, I would’ve asked for a photo with her! Love her! Once my make up was done, I knew it was almost showtime. Minutes later, I along with other invited guests were escorted to a lower floor where the actual recording took place! Behind the blue curtain below is a LIVE studio audience. It felt so cold in this space. The other guests and I all made comments about the room feeling so brisk. One of the producers said, “Wait till you get out in front of the cameras. You will feel warm immediately with all those bright camera lights!” OH-MY! After being “miked” up, the producer came over to me and went over the questions that Dr. Oz was going to ask me. Up until the day I got to the studio, I was given very little information on my segment. 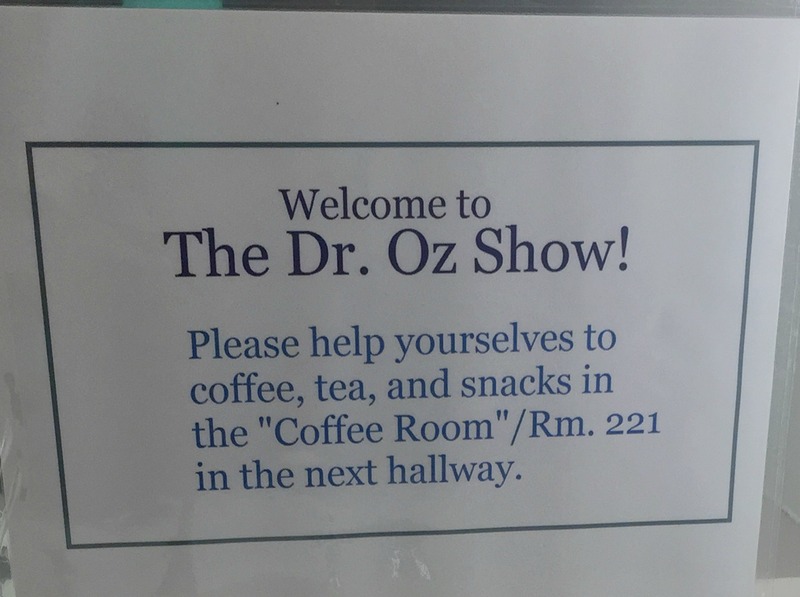 I was glad that once I got to the studios, several producers stopped by my dressing room and prepped me on some of the topics that Dr. Oz would be asking me. Here’s a still from the recording. 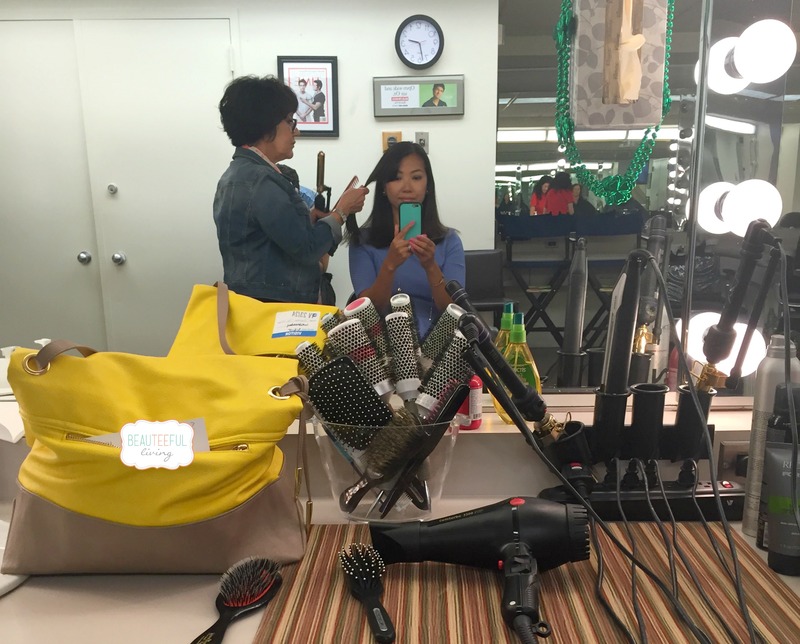 So…what got me through my segment looking calm as a cucumber? The segment fortunately went very smoothly. I heard laughs from the audience members. The producers were telling me I did a great job. My friend, Kelli was also giving me wonderful feedback. After the show, several of the audience members stopped me and mentioned that they enjoyed my segment. Sweet! It was done. Mission accomplished. I challenged myself to actually accept this opportunity. 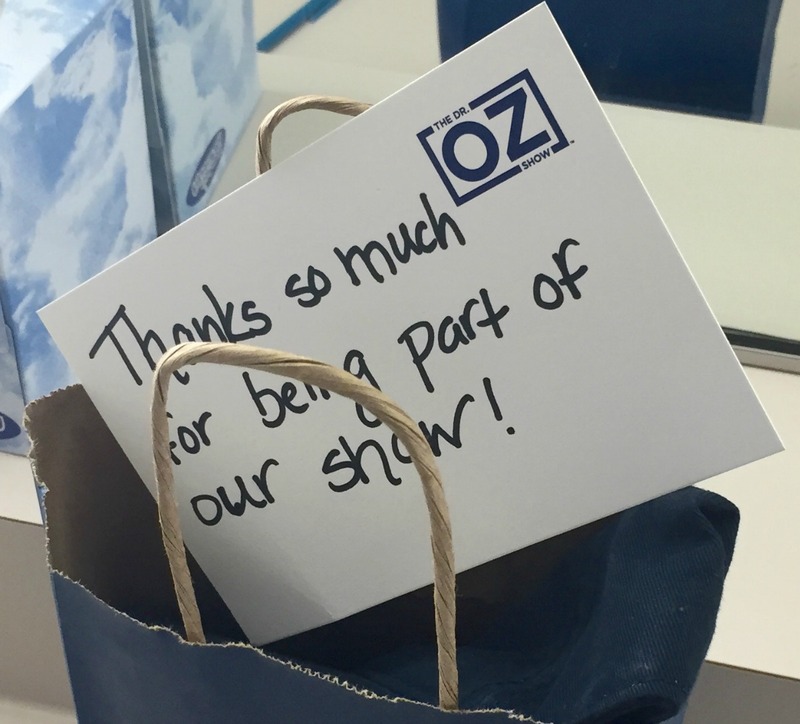 You may ask, “what did I get out of this show?” The short answer is … I got a Dr. Oz baseball cap and a “Thank You” note. Thank you for making it through the end of this post. I’ve delayed this recap of my experience for far too long. I hope you’ve enjoyed getting some “behind the scenes” coverage of my TV experience in today’s post. Wow! That’s definitely something to brag about! I’ve never been on TV, but I think I’d be terrified! I do love the Dr. Oz show but don’t always get to watch it. WOW!! You look amazing! You are so calm and professional. I am so happy for you! Thank you for sharing the experience. Wow! Thanks so much, Sandy! I appreciate your support and words of encouragement! That is absolutely so exciting. I watched the video and of course I have never heard you speak before that video but you chatted with him as if you had rehearsed it a hundred times before. You were definitely calm and very natural about the whole thing segment. Congrats on the whole experience!! Gah! That is SO cool! What an awesome experience. You only live once. You had to do this! Oh wow, that is so cool! I love to see the opportunities that blogging brings to fellow bloggers. It looks like you did a great job! Have you found any increase in social following or traffic after your TV appearance? Hi Katie, thanks for your question. I went on the show not representing my blog so I didn’t promote Beauteeful Living. The experience has proven to be so much more valuable than any spike in website traffic or increase in social following. Thanks for stopping by the blog! You did amazing! I feel like a pep talk to myself would still have not done the trick. How crazy how it all came together! Wow Tee, that is awesome and such a great opportunity. You did a great job and that dress looks fab on you! Being a part of a show is really fun and exciting. You still look pretty on T.V but you’re pretty in person. I’m just so glad that you had part in that show and were so proud of you. Yes you look so calm on TV! Not an inch of nervousness can be traced from your face! How very cool! I would be way too nervous to ever appear on TV, good for you!! Wow, what an experience! And you looked fantastic btw. Gorgeous and well composed, good job! If I get nervous my voice shakes, and I would have been shaking all over the place in front of that audience and on TV! It was an honor to be part of this with you.. You were and are fabulous!!! Love you my friend!!!! Oh, Tee you are a natural in front of the camera! When I watched your clip, I thought wow I am so glad she did this and not me! I probably would have passed out! Ha!! I love the little pep talk you gave yourself. And, I am so glad I was able to help you through Lauren with this huge opportunity! BTW, your husband is too sweet! Wow, he got you a lot of really thoughtful gifts! Man, I was a nervous wreak READING the post!!!! You look amazing on camera! What an awesome experience and I loved reading about it! Thanks so much, Sara! You are too sweet. Although it was scary, I’m so glad I did the segment! Your experience is so amazing! Thanks for sharing it with us! Oh wow! You are now part of the blogger celebrity circle!!!! Thanks, Cara! I’m glad you enjoyed this post. Thanks for commenting. THIS is awesome, just awesome. SO excited! I love that you were able to go on Dr. Oz and share your knowledge! What a honor! Love the mirror selfie!